Tony Vallelonga, called by everybody "Lip", is an italian immigrant, who just hangs around and lives from variuos rackets. One of his bussiness needs to be closed and he became jobless. He got a tip for an interview with Dr. Shirley, but do not know yet, he is black and also do not understand why is called doctor while not to be a physician. Dr. Shirley is a pianist and looks not just for a driver for his tour around the US, but also searches for a guy who can solve probable conflicts which can come to a black man in south of the US in the 60'. A movie describes a true story about a friendship between two man with absolutely opposite characters. 11.3.2019 Banatova inserted filming location YMCA of the Movie Green Book. 11.3.2019 Banatova inserted filming location In front of the house of the Movie Green Book. 11.3.2019 Banatova inserted filming location Restaurant of the Movie Green Book. 11.3.2019 Banatova inserted filming location In the street of the Movie Green Book. 11.3.2019 Banatova inserted filming location In the hotel of the Movie Green Book. 11.3.2019 Banatova inserted filming location Neighborhood of the Movie Green Book. 11.3.2019 Banatova inserted filming location Residence of the Movie Green Book. 11.3.2019 Banatova inserted filming location Hotel 2 of the Movie Green Book. 11.3.2019 Banatova inserted filming location Bridge of the Movie Green Book. 11.3.2019 Banatova inserted filming location Concert Hall of the Movie Green Book. 10.3.2019 Banatova inserted filming location Outside of the Movie Green Book. 10.3.2019 Banatova inserted filming location In front of an apartment of the Movie Green Book. 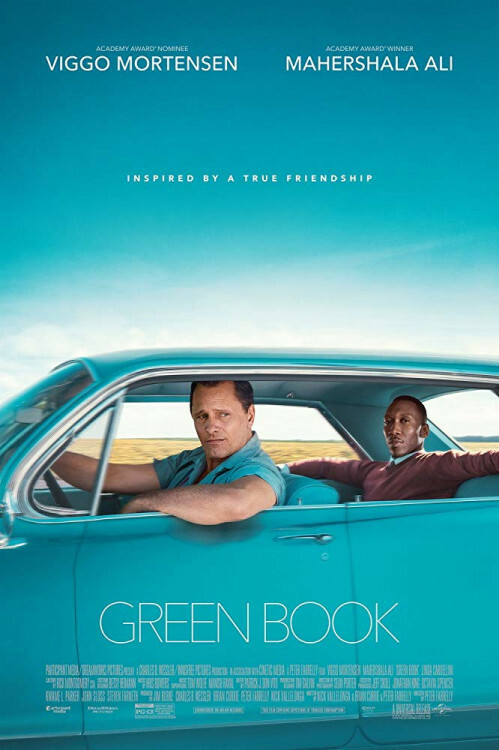 10.3.2019 Banatova inserted filming location Teatre of the Movie Green Book.